Heather has been a bloggy friend from way back at the beginning of my felt food days over a year ago when I probably had about 10 (okay maybe 20) people who read my blog. 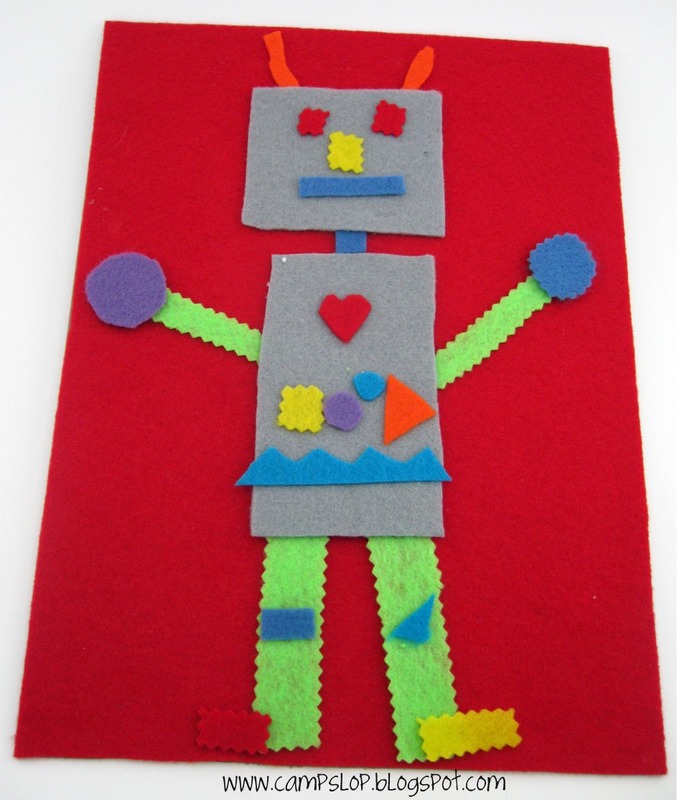 I remember that because it was Heather who first suggested I post my pdf patterns using scribd...which is what made some of my felt food posts so popular. Anyway...Heather has been a faithful follower for a long time. She also has a wonderful blog called Camp Slop. Since her kids are roughly the same ages as mine, our kids have a lot of common interests. 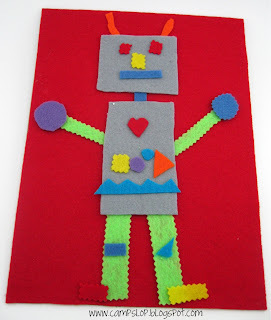 I love the crafts and other ideas on her blog. If you like my blog, you'll love Camp Slop. 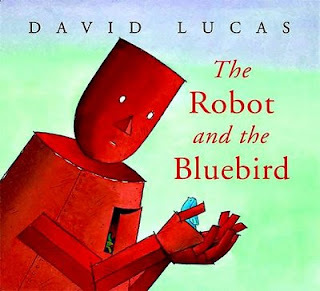 And I LOVE what she came up with to go with The Robot and the Blue Bird by David Lucas. (I'm a little bummed our library doesn't have it...so I'll have to resort to other means to get my hands on it.) It sounds like a wonderful book. And Heather came up with two super fun activities. I'm going to have to look into those fabric markers. 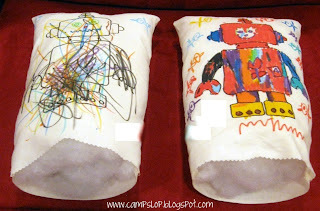 The pillows are even cuter in the arms of her cute kids...but you'll have to go read her post to see them. And while you're there, check out all the fun things she did for Dr. Seuss week last week.